So I came up with this recipe…It may exist out there I just didn’t look for it and thought it up..FYI. So I thought I’d share. Really excited to eat it. I’ll let you know how it tastes. ha. 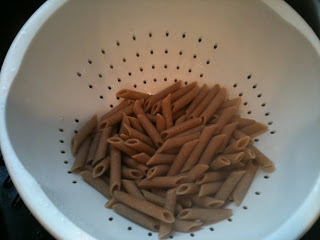 Started with whole wheat Penne noodles that were sitting in my lazy-susan ready to be used. 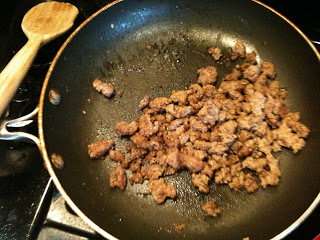 Then I cooked some grass-fed, hormone/antibiotic-free ground beef (1/2 lb). I put garlic powder, minced onion, pepper, and italian seasoning in it. 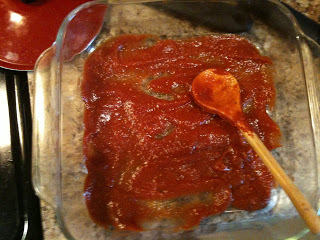 Then I made my sauce. 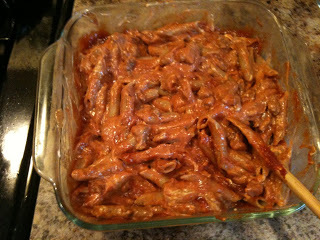 Used some Hunt’s All Natural sauce and tomato paste. 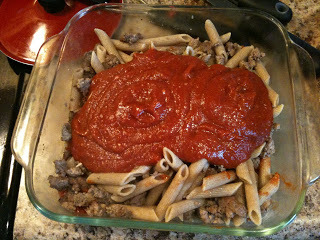 I also put Tomato Basil cooking creme in the dish. Threw in italian seasoning, garlic powder, parmesan cheese, basil, parsley, pepper, and some chili powder. Put sauce at the bottom of the pan so no noodles would stick for some reason. 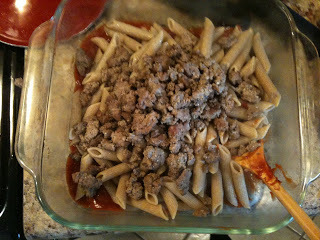 Layered the noodles and meat. 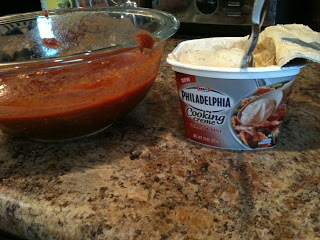 Then mixed it with about 1/4 of the Philadelphia Cooking Creme. Then I added some leftover cheese ravioli stuffing I made last week cause it’s delish!! 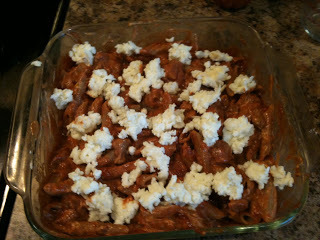 It was cottage cheese with an egg, 1/2 cup low fat mozzarella, and 1/2 cup parmesan cheese mixed together. I will bake it at 350 for probably 30 minutes. And bam a new dinner! !